While the Shelf-Top Display is spare on details a Pegboard Mount Sign tells How To Choose A Baby Bottle by Avent. Choose your style, choose your size, choose your color. Lucky actual samples are below for physical handling, even though a separate display. Look close to see that even more choices are available online. 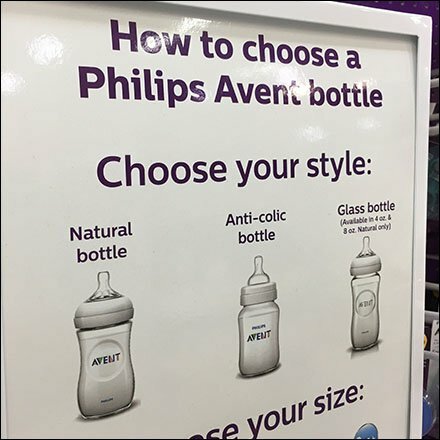 This How To Choose A Baby Bottle by Avent seen at Babies R Us.